1. 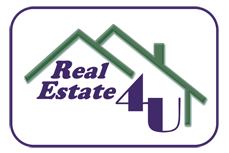 Provide you with alternative agency representation for you and the buyers of your home. 2. Complete and deliver a CMA (comparable market analysis) to help you determine the listing price of your home. 3. Create and then deliver a written marketing plan to you which includes goals, strategies and an overall program for selling your home. 4. Recommend and suggest enhancements and merchandise to assist with marketability. 5. Provide you with a written estimate of seller expenses. 6. Go over the history of your property and gather all relevant information to present to potential buyers. 7. Provide regular marketing updates and communication to the seller. 8. Promotion of the property via the Internet, advertising, direct marketing strategies and through networking. 9. Provide assistance in negotiations when an offer to purchase is made. 10. Provide you with buyer financial information when an offer is made and make a diligent effort to have each potential buyer be pre-approved by a lender. 11. Communicate the status of contract contingencies and monitor the contingencies. 12. Communicate with you after closing has occurred to make sure that all details have been satisfactorily completed. 13. Offer you the choice to evaluate the services that you were provided to you with a quality assurance survey.